This article originally featured in The Canadian Naval Review and is republished with permission. Read it in its original form here. It has been 40 years since Deng Xiaoping (1904-1997) started his market-oriented economic reforms in 1979. Through abandoning China’s Stalinist command economy and trading with the West (including Japan), Deng’s reforms brought the Chinese people a good life that their ancestors had not dreamed of. Trading with the West also enabled the ruling Chinese Communist Party (CCP) to build up a modern air force and a blue-water navy while providing it with sufficient financial resources to become a state with global influence. But, contrary to the expectations of the West that economic liberalization would lead to democratization, since 2012 the PRC has moved toward dictatorship under Xi Jinping’s leadership.2 As well, Deng’s economic reforms did not help solve a set of explosive issues inherited from Imperial China and the CCP revolution (1921-1949). Among the issues that remain to be resolved are the South China Sea, Taiwan, and Korea. 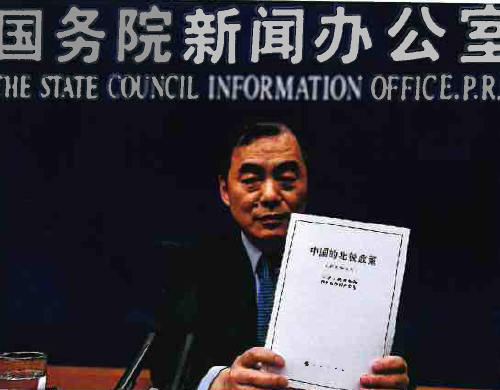 These issues directly concern the legitimacy of the CCP’s rule. China’s Arctic policy, therefore, has to be examined in the context of its domestic politics and its geopolitical and geostrategic concerns. In other words, the PRC government believes that China is entitled to rights in Arctic affairs. The white paper states that China is capable of claiming its rights of “utiliz[ing] sea routes and explor[ing] and develop[ing] the resources in the Arctic.”5 The white paper goes further by saying that “China’s capital, technology, market, knowledge and experience is expected to play a major role in expanding the network of shipping routes in the Arctic and facilitating the economic and social progress of the coastal States along the routes.” The white paper states that China’s goals and approaches in the Arctic are “to understand, protect, develop, and participate in the governance of the Arctic, so as to safeguard the common interests of all countries and the international community in the Arctic, and promote sustainable development of the Arctic.” As proof to support China’s right, the white paper traced China’s participation in the Svalbard Treaty in 1925 that acknowledges each state’s right in Arctic research. International law thus is the PRC’s foundation to participate in the Arctic affairs. There is, however, a critical problem concerning the PRC’s justification of its rights in the Arctic. It was the government of the Republic of China (ROC) – i.e., what became the West-friendly Taiwan rather than the PRC that joined the Svalbard Treaty. At its birth in 1949, the PRC government denounced the international obligations of China’s preceding governments. In contrast, the ROC government honored the international treaties that the Chinese Imperial government had signed when it came into being in 1912. The PRC thus voluntarily gave up its entitled rights in the Arctic at its birth. Moreover, the PRC committed itself to anti-West revolutionary wars for 20 years, even disregarding the Soviet Union’s advice of caution. The PRC did not try to work with the West until the late 1970s. By then, the PRC leaders were facing a Soviet military threat and a financial crisis. Through forming a de facto alliance with the West, the PRC under Deng’s leadership could not only ignore the Soviet military menace but also overcome its financial crisis. When the West opened its markets to the PRC, Deng started his market-oriented reforms. During the process, the PRC leaders came to know the United Nations Conventions on the Law of the Sea (UNCLOS) and learned that China was entitled to some maritime rights and could benefit tremendously from international collaboration.6 Among the earliest benefits was China’s successful Antarctic program in the mid-1980s.7 Another benefit was controlling some atolls in the disputed Spratly Islands in the South China Sea in 1988. China conducted this operation in the name of implementing a resolution of the United Nations Educational, Scientific, and Cultural Organization (UNESCO) to build a few observation stations in the South China Sea. The operation led to a China-Vietnam naval skirmish in March 1988.8 It foreshadowed the current escalated tension in the South China Sea and reflected the PRC’s pragmatic attitude toward international law. When the Permanent Court of Arbitration at the Hague (PCA) concluded in July 2016 that a China-controlled shoal in the Spratly Islands belongs to the Philippines, the spokesman of the Chinese Foreign Ministry termed the arbitration decision a “piece of waste paper.”9 Although compliance with PCA rulings is voluntary, it goes without saying that China’s attitude toward the PCA’s arbitration raised suspicion over its sincerity about international law on which its Arctic policy is founded. The PRC’s pragmatic use of international law in the Arctic and the South China Sea comes from its attempt to preserve the CCP’s legitimacy to rule China, a constant challenge that it has faced since its birth in 1921 in its rivalry against Chinese Nationalists. The CCP was a creation of the Soviet Union’s efforts to export its Bolshevik revolution through the Communist International (Comintern) association (1919-1943). Communism therefore became the basis of the CCP’s legitimacy. Moscow convinced the leaders of the influential Nationalists, who were determined to unify the country, to form a coalition with the CCP in exchange for Moscow’s military and financial assistance. The CCP then exploited the Nationalists’ efforts of national unification, and the outcome was the First Nationalist-CCP war (1927-1937). Japan’s invasion of China saved the CCP from destruction. During China’s war of resistance (1937-1945), the CCP followed Moscow’s instruction and accepted the leadership of Chiang Kai-shek and his Nationalist government. After Japan surrendered, the CCP refused to put its army under the Nationalist government’s command. The Second Nationalist-CCP war (or the Chinese civil war) (1946-1949) thus broke out. With Moscow’s limited but essential covert military assistance, the CCP defeated the Nationalists and drove them to the island of Taiwan in 1949. The CCP’s victory strongly encouraged its North Korean comrades and triggered the Korean War in 1950. As a part of its efforts to stop communist aggression worldwide, the United States sent its navy to patrol in the Taiwan Strait. The Republic of China therefore survives in Taiwan. Taiwan forms a constant challenge to the CCP’s legitimacy to rule China. Nationalism and national unification formed the basis of the Nationalists’ legitimacy. The CCP’s foundation was social justice based on communism, although it also shared the goal of nationalism and unification. After it took over China, to maintain its legitimacy, the CCP had to outperform the Nationalists domestically and internationally. Mao Zedong, the PRC’s founder, therefore, was determined to industrialize China and show off China’s strength. And one of the show-offs was an Antarctic exploration that was proposed for the first time in 1964.10 But the PRC did not have the necessary resources following Mao’s programs of industrialization that cost over 30 million people’s lives in three years, and threw the country into turmoil. Exploration was thus delayed until 1984, five years after Deng started his economic reforms and led China back to the West-led international community. 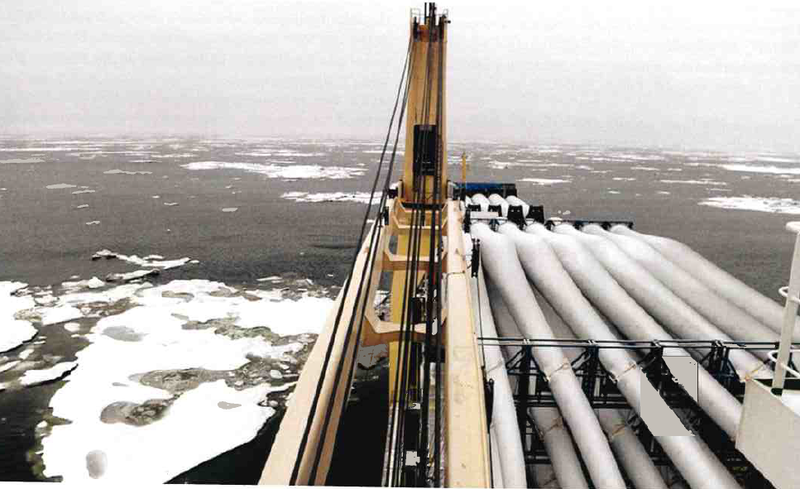 The PRC’s Antarctic program was based on international collaboration. With many countries’ assistance, China built up its first Antarctic station in 1984 and obtained valuable experience in polar research. China’s Arctic program was a post-Cold War extension of its Antarctic program. The end of the Cold War fundamentally reduced the Arctic’s value in national defense. At the same time, Soviet Arctic technologies, including a half-finished ice- strengthened freighter which China converted into an icebreaker, became accessible to China. The State Oceanic Administration (SOA), which was in charge of the PRC’s maritime affairs, seized the opportunity and started China’s Arctic program in the mid-1990s.11 When it became clear that the Arctic sea ice was melting, a situation that would bring profound changes to the geopolitical posture in the northern hemisphere, Beijing found itself, in the mid-2000s, in a position to have its voice heard in Arctic affairs. The sudden conclusion of the Cold War turned the issues of Taiwan and South China Sea into critical threats to the PRC. Global attention was no longer focused on the confrontation between the United States and the Soviet Union, and China had quietly become an economic power that relied heavily on imports and exports traveling by sea. Taiwan was on track toward de jure independence while the South China Sea countries consolidated their control over the atolls and shoals that China claimed as its territory. The two issues of China’s territorial integrity and national unification became a focus in Beijing. Thanks to its alliance with the United States, the naval force of the Nationalists in Taiwan was a powerful force in East Asia. But Taiwan’s naval forces had to concentrate their resources on the defence of Taiwan against the CCP. Mao ignored the South China Sea until oil deposits were discovered in its seabed in the early 1970s. Before Mao took any action, other South China Sea countries had controlled a number of disputed atolls and shoals in the Spratly Islands. The question of how to improve China’s position in the territorial disputes thus became urgent. In order to dominate the South China Sea and to deter Taiwan from independence, the PRC developed a maritime-oriented military strategy in 1992.12 The outcome of the implementation of this strategy has been the development of China’s naval and air superiority in the South China Sea. Nevertheless, instead of a sense of security, a number of PRC’s military strategists found their country falling into a security dilemma. Although China’s booming economy could afford to build a modern navy, it was dependent on overseas trade and the shipping through Malacca Strait. But China cannot control the Malacca Strait without defeating the U.S. Navy and winning a major war against the United States. The more powerful the Chinese navy grows, the more uneasy the situation in the South China Sea becomes and the less secure the PRC leaders feel. As China’s maritime-oriented military strategy was guiding the country to nowhere, the prospect of a commercially beneficial Northern Route became an option for China to go around the southern impasse. China’s commitment to Arctic affairs is rooted in China’s economy. Beneath the high-toned sentences in the white paper outlining China’s Arctic policy, are the shrewd geostrategic considerations and well-developed plans that have been in existence for over 15 years. 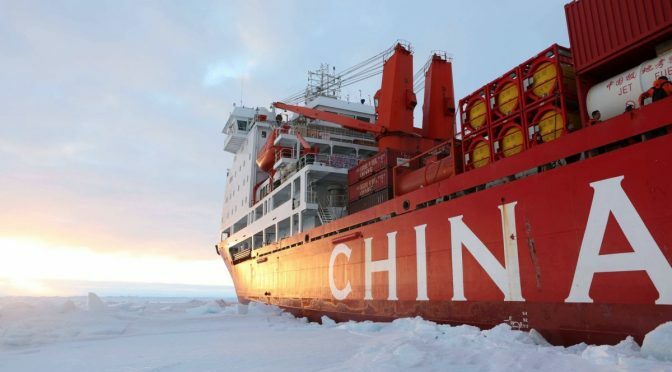 As early as the mid-2000s, Chinese engineers started designing high ice class merchant ships.” In August 2018, at least two Chinese high ice class merchant ships were in commercial operations in the Arctic. China’s shipbuilding industry is therefore ready for Arctic shipping. In the meantime, the SOA implemented a comprehensive research program on the history, politics, economy, and society of the Arctic countries.14 The implementation of the program helped PRC governmental agencies and academia achieve a consensus on China’s Arctic strategy. Although the consensus has not been explicitly articulated, its principal contents can easily be identified in the publications open to the public. In addition to the principles of international collaboration, international law and contributions to Arctic research and the well-being of Arctic countries, which are addressed in the white paper, Russia-China partnership and mediation of the difference among Arctic countries are among the key components in the consensus. China and Russia formed a quasi-alliance after the Cold War due to their geostrategic need to counterbalance the United States and its allies. Their bilateral history, however, has not been without difficulties, and currently Russia is concerned about the security of Siberia and China’s growing influence in Central Asia. The Arctic Route is the best approach to consolidating Russo-China relations without touching these sensitive issues. Collaboration with Russia is thus essential in China’s Arctic strategy. With Russia’s consent, even support, China could use its financial and economic strength to mediate controversies among Arctic countries and gradually alter its current status within the Arctic Council. Chinese participation in the Arctic has several interesting potential benefits for China. For example, China could use Canada’s argument that the Northwest Passage is historic internal waters, to argue that the South China Sea is also historic internal waters of China. This would be a pragmatic use of Canada’s legal arguments to counter criticism of Chinese actions. As well, in addition to studying the various current and potential controversies among Arctic countries, Chinese researchers also studied the internal challenges of the Arctic states, especially the deplorable history of indigenous peoples within the Arctic Circle. A number of works on Arctic indigenous societies have been published. Among the works is a monograph on Canada. 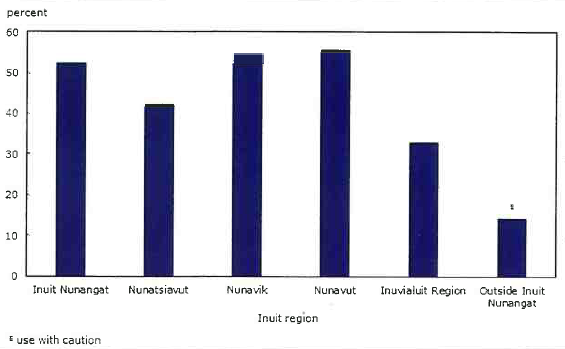 Pan Min, the author, examined the relations between the aboriginal communities and the provincial and federal governments.15 She discussed the socioeconomic disparities between the Arctic and south Canada. She suggested that the PRC government should adopt a strategy of ‘wait-and- see’ about the indigenous issues while increasing investment in the indigenous areas. It goes without saying that Pan’s suggestion was based on the PRC’s interests rather than the well-being of the Canadian indigenous peoples. In the context of the PRC’s post-Cold War strategic dilemma and the opportunities to be developed out of the melting of the Arctic sea ice, Pan’s suggestion shows that the PRC leaders have been searching for the weak and exploitable points of the Arctic countries. And they have identified the issue of indigenous peoples. It is the same issue that PRC diplomats in Australia have directly threatened to use if necessary.16 Fortunately for Canada, China’s current interests in the Arctic are around the Northern Sea Route rather than the Northwest Passage. Unfortunately for Canada, the PRC has little stake in Arctic Canada. This implies that the PRC could use indigenous issues in the Arctic to rebuke or embarrass the Canadian federal government when it feels unhappy with Canada’s criticisms or wants to divert public attention (domestic or international) away from China. The Arctic indigenous issue is thus leverage for the PRC to restrain the Canadian government’s freedom of movement. China’s challenges to the U.S. Navy in the South China Sea have taken numerous forms short of violent conflict. Here, China’s maritime militia interfere with the American naval research ship USNS Impeccable’s towed-sonar array south of Hainan Island in March 2009. Neither wishing to fight an actual war nor able to discourage the United States from operating in the South China Sea, China is increasingly interested in using Arctic waters for its maritime trade. The PRC has committed itself to Arctic affairs. The origin of its polar policy was Chinese nationalism that led to its Antarctic exploration program. And its commitment to the Arctic comes, in part, from China’s maritime security dilemma over the issues of Taiwan and the South China Sea, and relates to maintaining the CCP’s legitimacy to rule China. As well, the PRC’s commitment to the Arctic is intended to consolidate China’s relations with Russia in order to reduce Russia’s concern over the security of Siberia and China’s growing influence in Central Asia. Canada’s position in China’s geostrategic plan and Arctic strategy is marginal but Canada’s peripheral position might make it an easy target for China to exploit. And the issue of Arctic indigenous people appears to be the issue that China could use to mute Canadian government criticism, divert China’s domestic attention, or use in exchange for agreement about issues somewhere else. China’s Arctic policy therefore could form an indirect and long-term threat to the security of Canada’s Arctic. Dr. Sheman X. Lai, a PhD graduate at Queen’s University (2008) and MA graduate of War Studies at Royal Military College (RMC) (2002), is an Adjunct Assistant Professor with the History Department, Queen’s University, and Department of Political Science, Royal Military College of Canada. Zhao Ningning, “China and the Paradigm of the Arctic Governance” (translated title), Socialism Studies, No. 2 (2018), pp. 133-140. “Vice President Mike Pence’s Remarks on the Administration’s Policy Towards China,” Hudson Institute, Washington, DC, 4 October 2018, available at www.hudson.org/events/1610-vice-president-mike-pence-s- remarks-on-the-administration-s-policy-towards-chinal02018. Dumitulu Majilu, “Exclusive Economic Zones” (translated by Liu Nanlai), Global Law Review, No. 6 (1980), pp. 42-64; Mololianyoufu, “On the New Phase of the International Law of the Seas” (translated by Liu Nanlai), Global Law Review, No. 1 (1979), pp. 60-67; IK. Kolosovsky, “The Signifi- cance of the UNCLOS and the Approaches to Obtaining Worldwide Sup- ports for it” (translated title), Global Law Review, No. 4 (1990), pp. 51-54. Hu Lingtai, “Antarctic Exploration and Research” (translated title), in Center for Scientific and Technological Information of State Oceanic Ad- ministration (ed. ), China Ocean Yearbook, 1986 (Beijing: Haiyang Chu- banshe, 1988), p. 457. Chua Chin Leng, “What is the Permanent Court of Arbitration?” China Daily, 14 July 2016 available at www.chinadaily.com.cn/opin- ion/2016-07/14/content_26091459,htm. Sheng Aimin, “The Preparations for the Arctic Exploration” (translated title), in China NGO Research (translated title), No. 7 (1994), pp. 17-18. Sherman Xiaogang Lai, “China’s Post-Cold War Challenges and the Birth of its Current Military Strategy,” Journal of Military and Strategic Studies, Vol. 16, No. 4 (2016), pp. 182-209. Zhang Dongjiang, “Analysis of Arctic Marine Shipping and Research on Arctic Ship General Performance” (translated title), MA Dissertation, Harbin Engineering University, March 2012. Li Zhen-fu, “Analysis of China’s Strategy on Arctic Route” (translated title), China’s Soft Sciences, No. 1 (2009), pp. 1-7; Li Zhen-fu, “China’s Opportunities and Challenges from the Arctic Route” (translated title), Journal of Port and Waterway Engineering, No. 8 (Serial No. 430) (August 2009), pp. 7-15; Li Zhen-fu, “The Dynamics of the Arctic Route in Geo- politics” (translated title), Inner Mongolia Social Sciences, Vol. 32, No. 1 (2011), pp. 13-18. Pan Min, Researching Arctic Indigenous People (translated title) (Beijing: Shishi Chubanshe, 2012), p. 314. Clive Hamilton, Silent Invasion: China’s Influence in Australia (Mel- bourne: Hardie Grant Books, 2018), p. 280. 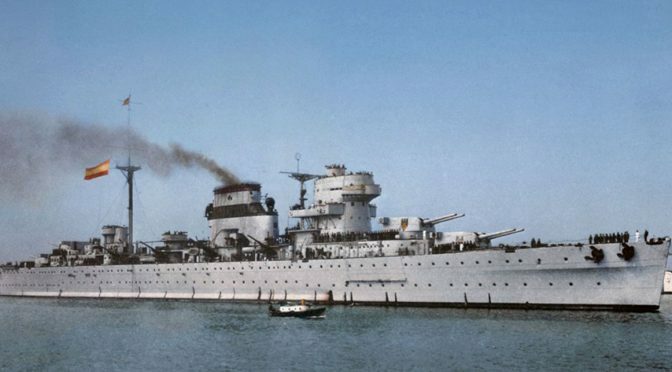 The Spanish Civil War at Sea: Limits to Sea Power’s Influence on History? Sea power advocates traditionally justify the role of navies as a national security tool by their function in winning and deterring wars. The U.S. Navy’s current maritime strategy articulates this idea by stating that sea power is “the critical foundation of national power and prosperity and international prestige.”1 However, past wars at sea have been won by states or combatants in spite of significant naval disadvantages. The Spanish Civil War provides one such example of a less capable power defeating an enemy with a bigger navy. A successfully executed strategy can overcome a larger fleet, where victories by smaller navies can be enabled by factors like air power and the active support of willing allies, allowing them to successfully apply sea power in support of national objectives. In 1936, right-wing Spanish military officers (later referred to as “Nationalists,” an example of successful historical branding as they were actually the rebels in this case) mutinied against the republican government that had ruled Spain since the end of the monarchy in 1931. 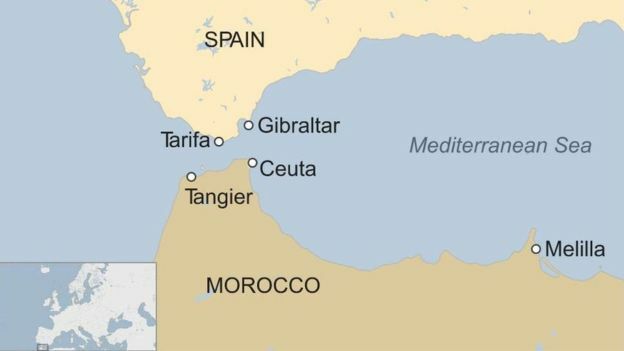 While the Spanish Civil War is not typically considered one of the major naval conflicts of the twentieth century, control of the seas around Spain, particularly the Strait of Gibraltar, was vitally important at the start of the conflict since most of the rebel troops were based across the strait in Spanish Morocco, where the Spanish Army had been conducting a brutal pacification campaign for decades. The Spanish Legion (El Tercio, Spain’s attempt at replicating the French Foreign Legion) and Spanish Army units referred to as Regulares (composed of Moroccan natives) were at the core of the Army of Africa that the right-wing Nationalists would rely on in their revolt against the Republic’s Popular Front government. Moving those troops across the strait would require support from the Spanish Navy. 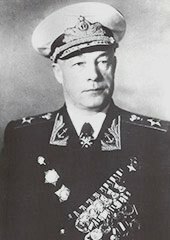 While some historians claim that senior naval officers coordinated with the eventual Spanish dictator Francisco Franco before the mutiny,2 others argue that General Emiliano Mola, the main organizer of the rising, had “made no serious provision for naval commitment to the plot,”3 assuming that “the Spanish Navy would remain impotent and neutral” after Spanish Army officers had rebelled.4 The aristocratic and “strongly monarchist” Navy officer corps was more socially homogenous than its Army counterpart, which had some “liberal pockets.” The mutineers gambled that most Spanish Navy officers would side with them, a move that would be borne out. Despite its initial significant naval advantage, the Spanish Republic was ultimately defeated by the Nationalists in 1939. While both sides operated at sea throughout the conflict, the Republic had lost the naval war within the first few months. Historians have justifiably blamed the Republican Navy for its failure to keep the Army of Africa bottled up in Morocco, but it is unfair to attribute this failure to anarchist shipboard committees and the few officers that remained loyal to the government in Madrid. The smaller Nationalist fleet exploited air power and vigorous allied support to more effectively apply sea power in order to win the war. Sea power proved decisive in the Spanish Civil War, just not in the narrow understanding of naval strength typified by measuring numbers of vessels. Ships and other materiel of war are tools, and the Nationalists proved better at using theirs at sea between 1936 and 1939. A Cooperative Strategy for 21st Century Seapower, March 2015. Antony Beevor, The Battle for Spain (New York: Penguin, 2006), 71. Hugh Thomas, The Spanish Civil War (New York: Harper & Row, 1977), 212. Willard C. Frank, “Naval Operations in the Spanish Civil War,” Naval War College Review 38, no. 1, (January/February 1984): 24. Frank, “Naval Operations in the Spanish Civil War,” 24. Frank, “Naval Operations in the Spanish Civil War,” 25. Michael Alpert, “The Clash of Spanish Armies: Contrasting Ways of War in Spain, 1936-1939,” War in History 6, no. 3 (1999): 345. Ibid., 28; Michael Alpert, La Guerra Civil Española en el Mar (Madrid: Siglo XXI de España Editores, 1987), 92. Thomas, 370-371; Michael Alpert, “The Clash of Spanish Armies: Contrasting Ways of War in Spain, 1936-1939,” War in History 6, no. 3 (1999): 334. Frank, “Naval Operations in the Spanish Civil War,” 29; Thomas, 370-371; Beevor, 117-118. Paul Preston, Franco: A Biography (New York: Basic Books, 1994) 161-162. Hitler’s Table Talk: 1941-1944, trans. Norman Cameron and R.H. Stevens (New York: Enigma Books, 2000), 687. Peter Gretton, “The Nyon Conference – The Naval Aspect,” The English Historical Review 90, no. 354 (January 1975): 103. Frank, “Naval Operations in the Spanish Civil War,” 30. Alpert, “The Clash of Spanish Armies: Contrasting Ways of War in Spain, 1936-1939,” 348. Frank, “Naval Operations in the Spanish Civil War,” 32. Beevor, 144; Willard C. Frank, “Canarias, Adiós,” Warship International 2 (1979), accessed at http://www.kbismarck.org/canarias2.html. Frank, “Naval Operations in the Spanish Civil War,” 30-31. Michael Alpert, “The Clash of Spanish Armies: Contrasting Ways of War in Spain, 1936-1939,” 346. Frank, “Naval Operations in the Spanish Civil War,” 28. Almost five years following the Minsk Agreements, the war in Ukraine has claimed the lives of over 13,000 individuals. While much of the attention has been on the annexation of Crimea and continuous fighting throughout the Donbas region, Russia has more recently added a maritime component to its campaign with aggressions in the Sea of Azov. The Secretary of the National Security and Defense Council of Ukraine, Oleksandr Turchynov, sees the possibility of the region being used as a “springboard for further expansion,” a land invasion of Mariupol being his greatest concern. While many may fear expansion into the land environment, the far more likely scenario is westward progress by Russian naval forces, furthering their disruptive campaign off Ukraine’s coastline. Within this context, a useful analytical framework of inspection would be Russia’s “Boa Constrictor Strategy” (Тактика Удава). Attempting to economically strangle the Ukrainian government, the blockade of the Kerch Strait serves as the first example to do so in the maritime environment. Hamstringing shipment to and from the port cities of Mariupol and Berdyansk, located in the Sea of Azov, Russia is likely to continue these economically disruptive and militarily aggressive activities in the greater Black Sea region. 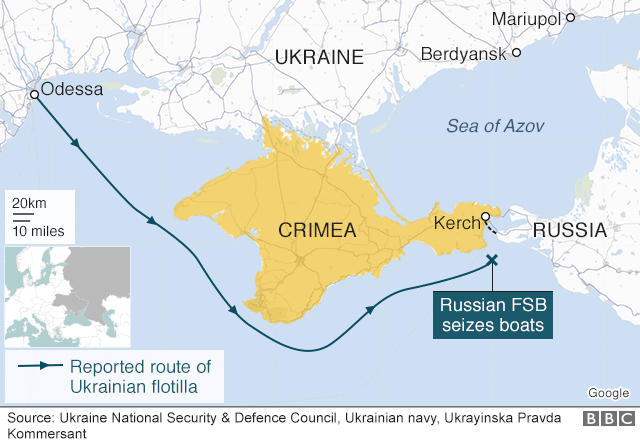 The object of such operations would invariably be the littoral waters near Ukraine’s western port city – Odessa. While maintaining the status quo – relative restraint in deploying land forces – the Kremlin could similarly hamper maritime commerce, endanger sea lines of communication (SLOC), and therefore dissuade future investment in the region. Loss of industry and access to the sea via de facto Russian control of the remaining Ukrainian coastline could both financially cripple Kyiv’s economy and, in effect, landlock the country. In the Sea of Azov, there are already observed Russian gray zone methods in the maritime domain. Therefore, while the threat of a Russian land invasion should be considered, the threats facing Odessa – and the Ukrainian coastline writ large – likely will remain in the Sea. For several reasons, these incrementally disruptive hostilities, akin to ongoing naval tactics being employed by the Chinese in the South and East China Seas, should be Kyiv’s greatest worry. First, an overt incursion on Odessa would necessarily involve Russia telegraphing the movement of its Black Sea Fleet – serving as host to a sizeable contingent of sea and land forces. Due to the augmented defensive capabilities installed by the Ukrainian military – its newly developed anti-ship “Neptune” cruise missile and modernized S-125 Neva/Pechora surface-to-air missile system – Kremlin strategists would likely advise against such a move. Although Ukraine’s personnel and equipment in the region would not ensure victory over a would-be invading Russian force, they provide the conventional deterrence required to allay concerns that Moscow believes it can quietly seize the region. Second, despite doubts regarding open invasion, concerns abound that Russia may attempt similarly subversive activities in Odessa to what occurred in Crimea and throughout Donbas. The tactics used in the early years of the conflict – in annexing the Crimean Peninsula and creating the so-called Donetsk and Luhansk People’s Republics – were both geographically and demographically dependent and unlikely to be as successful if applied in western Ukraine. 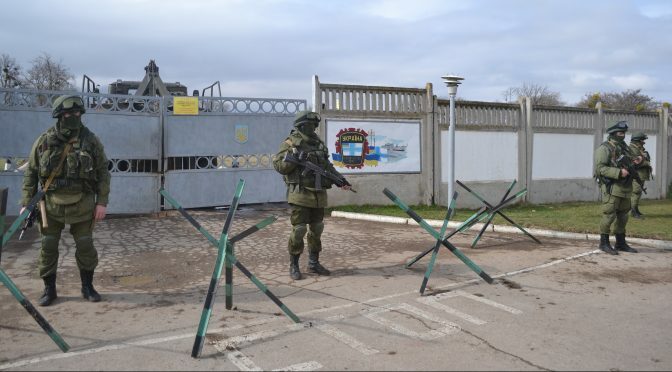 In Crimea, the Kremlin’s “little green men” were able to assume control without widespread violence due to favorable conditions which do not exist in Odessa. The political environment on the peninsula, conducive for a Russian takeover, hosted a citizenry which was, for the most part, either emboldened by Russia’s sudden presence, indifferent, or silenced by fear. Throughout Donbas, the disinformation campaign and political saboteurs were able to stoke the flames of discord required to launch the creation of the so-called autonomous republics. With Russian-backed separatists, private military contractors, and Russian regulars all taking part, control was effectively fractured from Ukraine’s federal government. Geographically proximate to the Russian border, the Kremlin was able to either leverage the political environment preexisting in Crimea or, in the case of Donbas, fabricate one through its disinformation campaign, funding of separatist fighters, and covert transportation of Russian regulars across the border. According to a 2015 study by the International Republican Institute, roughly 25 percent of Odessa’s citizenry are ethnic Russians, with 78 percent citing Russian as the primary language spoken at home. The presence of ethnic Russians, often referred to as a fifth column – or minority group which can be leveraged – in Odessa has sparked concerns that a similar situation which unfolded in the east could be incited. However, the geographic conditions and element of surprise required are missing. Additionally important to note, the general political situation in the country was diametrically different to what it is today. When Crimea was annexed, and subsequent fighting in Donbas began, Ukraine’s federal government was dysfunctional and divided. Following the Euromaidan protests and deposition of then-president Yanukovych, several top officials abandoned their posts. Among them were the Ministers of Defense and Internal Affairs, the commander of the Internal Troops of Ukraine, and the commander of the Ukrainian Navy in Crimea (who convinced over 5,000 Ukrainian sailors to defect with him). Finally, one possible reason for escalations in the Sea of Azov – Russia’s first major foray into the maritime environment against Ukraine – would be the Kremlin’s decision that further subversion on land would be either impossible due to increased Ukrainian resilience, or inadvisable due to international backlash. Regardless, the fact Moscow has chosen to add this maritime component to continue its incrementally aggressive gray zone approach supports the argument that any activities to Ukraine’s west – a “harder target” in military parlance – would similarly remain offshore. Russia’s Black Sea Fleet, after suffering two decades of decline following the collapse of the Soviet Union, has undergone more than a decade of serious reform, doubling its offensive capabilities since 2014. Prior to the annexation of Crimea, Russia had a basing agreement with the Ukrainian government. However, this agreement stipulated categorical limitations on personnel and equipment. Along with access to the port of Sevastopol, Moscow was allowed to garrison 25,000 troops, in addition to 132 armored combat vehicles, 22 military aircraft, and 24 pieces of artillery. In 2013, Russia was stationing 12,000 troops, zero tanks, 24 pieces of artillery, and 22 military aircraft. By 2018, those numbers rose to 32,000 troops, 40 tanks, 174 pieces of artillery, and 113 military aircraft – in addition to S-400 anti-aircraft missile systems, Bastion and Bal coastal defense missile systems, and Iskander short-range ballistic missile systems. These tenets were further discussed in the 2017 Naval Fundamentals document, emphasizing improvement of combat capabilities and joint operability with other branches of the military in Crimea. Moscow’s recent development of its Special Operations Forces (SSO) command is the most likely suspect to be used in a combined arms operation in the Black Sea. An example can be seen with the oil derricks near Odessa, which were illegally seized by special operations forces and are subsequently being guarded by several small warships – preventing any attempt by the Ukrainian military to retake them. While a less severe example, this low-risk operation represents one of many lessons for the Kremlin that this sort of incremental approach pays dividends. These “stealth seizures,” i.e. annexation of Crimea, naval blockade of the Sea of Azov, and the capture of the oil derricks are the hallmark of Russia’s approach in the region but by their nature are limited in scope. Unlike the proximate waters of the Sea of Azov, the Black Sea is busy with international activity and with all parties involved interested in keeping the sea lines open for trade and joint military cooperation. In addition to the western littoral states (Romania, Bulgaria, and Turkey), the navies of the United Kingdom and United States have operated in the Black Sea in recent months. The Royal Navy’s HMS Echo entered the Black Sea and arrived at Odessa on 19 December, 2017. The UK’s Defense Minister, Gavin Williamson, later announced joint exercises would take place with the Ukrainian Navy in early 2019. In early January, the USS Fort McHenry (LSD-43) made a regularly scheduled sail through the Black Sea. The Fort McHenry, an amphibious ship, equipped with defensively oriented weapons, was followed more recently by a visit to Georgia by the USS Donald Cook (DDG-75), an Arleigh Burke-class guided-missile destroyer – sending a much more clear message to the Kremlin. Backing up this show of resolve, the U.S. announced it would send additional lethal aid to the Ukrainian military. While international presence in the region is a possible deterrent, many factors complicate the helpfulness of foreign vessels in the region. First and foremost, there is a perennial question mark in regard to what form(s) of Russian aggression will incite a Western response. And even then, showing diplomatic support of the situation is of little good to an embattled Ukrainian military. Second, the Montreux Convention Regarding the Regime of the Straits, an agreement signed in 1936, presents a logistical impossibility to an ever-present U.S. Navy in the Black Sea. The agreement stipulates that an aggregate tonnage of all non-Black Sea warships in the Black Sea cannot exceed 30,000 tons (or 45,000 tons under special conditions), and they are permitted to stay in the Black Sea for no longer than twenty-one days. Russia, undoubtedly monitoring the U.S. Navy’s days at sea, could conceivably coordinate an operation during a lull of U.S. activity. The onus of defense, therefore, falls on the Ukrainian military. Prior to the aggressions in the Sea of Azov, for all intents and purposes the Ukrainian Navy lacked a coherent maritime doctrine within the overall military strategy. Suggested to have a “continental mindset,” the greatest cause for concern is always from the next impending land invasion. The most recent example was the build-up of Russian forces in its Western Military District, from which came no invading force. Rather than an abnormal development, prior to the annexation of Crimea, roughly 40,000 troops were amassed on Ukraine’s eastern border – used for purposes of intimidation and to mask subsequent asymmetric operations, rather than to be conventionally deployed. Despite these issues of threat assessment, the Ukrainian Navy has maintained steady success in developing itself into a competent fighting force, notwithstanding losing the majority of its assets during the annexation of Crimea. The guiding principle toward renewed maritime capacity building in the Ukrainian Navy can be seen in the “mosquito fleet” concept first proposed by Captain Andriy Ryzhenko, the Navy’s deputy chief of staff for Euro-Atlantic integration. His idea is that despite budgetary pressures the navy should plan for “near-term procurement of small, fast, low-signature, well-armed boats and craft for various purposes.” The highly mobile proposed flotilla would serve well in the face of uncertainty presented by Russia’s subversive maritime activities. Toward this goal, the Ukrainian Navy plans to commission two Gyurza-class armored boats and two Centaur-class fast assault craft sometime in 2019, and to assume command of two U.S.-built Island-class patrol cutters this summer. These efforts toward naval capacity building are the key component of the “New Strategy of the Naval Forces of the Armed Forces of Ukraine to 2035,” introduced by the Commander of the Naval Forces of Ukraine, Admiral Ihor Voronchenko in November 2018. As this gray zone approach continues to permeate the maritime environment, these aggressive asymmetric operations must remain an integral component of Ukraine’s military calculus. They are incremental in their approach, and below the threshold of war in their character. For these reasons they will be difficult to predict, deter, and defend against. However, the Ukrainian military has been and will continue to undergo reform with these very tenets in mind. Analyzing the tactics used in the Sea of Azov by Russia, similar operations in the South and East China Seas by China, and how they may be adapted to fit the Black Sea is the most advantageous starting point toward an effective plan of defense. As the Ukrainian military remains resilient, and its allies supportive, the defense of Western ideals and international rule of law will come through the sober realization that these low-scale acts of force and subversive maneuvers are here to stay both within Ukraine’s borders and off its coast. Jonathan Hall is a security and political risk analyst focused on Eurasian geopolitics, military affairs, and emerging technologies. He can be found on Twitter @_JonathanPHall. “My plain and simple message to our friends in the region is ‘the United States is a reliable and trustworthy security partner….Latin America and the Caribbean are not our backyard. It’s our shared neighborhood… And like the neighborhood … where I grew up, good neighbors respect each other’s sovereignty, treat each other as equal partners with respect, and commit to a strong neighborhood watch.” –Vice Admiral Craig Faller, USN, before the Senate Armed Forces Committee, Sep. 25, 2018. The Argentine Coast Guard stopped a South Korean trawler that was allegedly operating without authorization in its Exclusive Economic Zone (EEZ) in early February. The non-violent operation highlights how Asian fleets are willing to travel long distances in order to make a profit, and how Latin American navies and coast guards need to be more focused than ever before on combating unauthorized fishing. 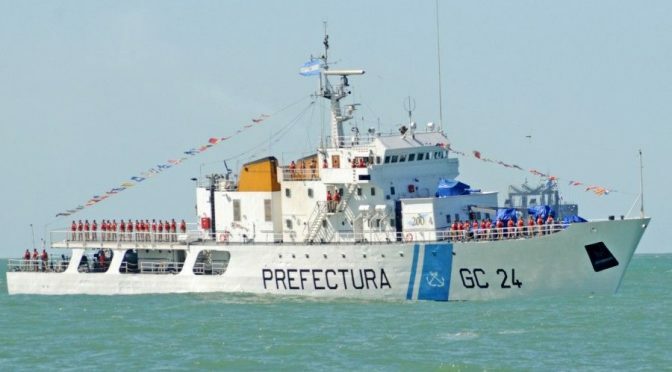 The latest international fishing incident in Argentine waters occurred when the South Korean trawler O Yang 77 was detected by Argentine authorities, which deployed PNA Doctor Manuel Matilla (GC-24), a Mantilla-class patrol boat, to stop said vessel. According to Infobae, the vessel was detected around Chubut province, in the Southern part of Argentina, with its nets down. Aboard the vessel, Argentine authorities found some 130 tonnes of fish. A 11 February video posted on the Argentine coast guard’s Twitter account shows the O Yang 77 docked in the South American country’s Comodoro Rivadavia port. South Korean authorities argue that the vessel, which belongs to Sajo Oyang Corporation, did not violate Argentina’s EEZ. The aforementioned incident highlights one obvious fact: illegal, unauthorized and unregulated (IUU) fishing does not occur simply because Latin American and Caribbean fishing vessels break the law, but extra-regional vessels, particularly large fleets from Asian nations, are willing to travel long distances in order to make a profit and satisfy their nation’s demands. Previous commentaries by the author noted the problem of IUU fishing in Latin America (see CIMSEC’s “Latin American Navies Combat Illegal Fishing”), of which Chinese fleets are repeated offenders. For example, in 2016 the Argentine Coast Guard shot at and sank a Chinese fishing vessel, Lu Yan Yuan Yu, which was part of a larger fleet operating in Argentina’s EEZ. The following year, the Chinese vessel Fu Yuang Yu Leng 999 was spotted close to the Galapagos Islands and detained by Ecuadorian authorities. An inspection discovered over 300 tons of a variety of fishes, particularly hammerhead and silky sharks as well as other endangered species (see CIMSEC’s “A Growing Concern: Chinese Illegal Fishing in Latin America”). A year later, in late 2018, Peruvian authorities stopped the Chinese vessel Runda 608 for fishing without authorization in Peruvian waters. Ironically, at the time of this writing, yet another incident regarding Asian fishing fleets occurred in the South Atlantic. In mid-February, the patrol boat Mantilla was once again called into action, this time to help the Zhongyuanyu 11, a Chinese fishing boat that collided with the Spanish fishing vessel Pesca Vaqueiro, some 16 km outside Argentina’s EEZ. The Argentine platform was deployed to rescue the crew of the sinking Chinese ship, while the Spanish vessel apparently did not suffer significant damage. These incidents highlight the constant presence of extra-regional fishing vessels in the South Atlantic. How are Regional Governments and Navies Reacting? Unsurprisingly, whenever a major illegal fishing incident occurs, there is an understandable public outcry and regional governments promise to protect a country’s maritime resources. For example, after the Lu Yan Yuan Yu incident in the Galapagos Islands, the Ecuadorian Navy deployed its submarine Huancavilca to help combat unauthorized fishing. Quito also reportedly sent a formal letter of protest to Chinese authorities about the incident, though it is unclear (and highly doubtful) if any measures have been implemented to avoid future violations of Ecuador’s maritime sovereignty by Chinese vessels. Successfully and efficiently protecting an EEZ is not easy. Additional vessels for navies and coast guards would certainly be helpful and, to be fair, several Latin American nations continue to upgrade and expand their navies. For example Argentina has confirmed the purchase of four French offshore patrol vessels; Brazil has purchased a carrier (see CIMSEC’s “Atlantico: Brazil’s New Carrier”) and is constructing submarines; Mexico has constructed a long-rang patrol vessel and various OPVs; and Peru is constructing a second landing platform dock, BAP Paita. However, it is also necessary to obtain aerial platforms that can help monitor and intercept suspicious vessels faster. Space programs can be additionally helpful to locate suspicious ships as well – the Chinese vessel Runda 608 was reportedly located via space-based capabilities. In other words, the answer is not just adding more ships to a fleet to successfully combat illegal fishing; aerial platforms and even space technology are also critically important. Moreover, governments have a vital role to play. Robust legislation to combat IUU fishing is necessary, such as heavy fines or even prison time for offenders, but there also has to be action at the diplomatic level when illegal fishing is conducted across national borders. It will be important to monitor whether Buenos Aires confronts Seoul over the latest incident, though it is unlikely as Buenos Aires-Beijing relations remain the same after the Fu Yuang Yu Leng 999 incident. As a corollary to this analysis there is an ironic detail worth highlighting: in late January the Argentine news service Ambito reported that South Korea is planning to donate an Ulsan-class frigate to Argentina. This report has been frequently cited in other media outlets. Such a move is not without precedent as Seoul donated a corvette to Peru a few years ago as well. It will be interesting to see if Seoul does in fact donate a warship to Buenos Aires, which would likely be utilized for patrol operations to crack down on maritime crimes in Argentina’s EEZ, such as illegal fishing. The O Yang 77 incident will not be the last time that Asian fleets fish without authorization in Latin American waters as these vessels constantly operate in the South Atlantic – this is best demonstrated by the collision between the Zhongyuanyu 11 and the Pesca Vaqueiro just days after the arrest of the O Yang 77. Demographic growth, the eternal quest for profit, and depleting maritime life in other bodies of water mean that extra-regional fleets will travel great distances for new sources of fish. It is bad enough when illegal fishing occurs domestically (e.g. a Peruvian fishing vessel operating illegally in Peruvian waters) or across regional borders (e.g. a Ecuadorian vessel ilegally fishing in Peruvian waters). The scope of IUU fishing by Asian fishing fleets could help bring about the destruction of an already fragile Latin American maritime ecosystem. Latin American navies and coast guards are the tip of the spear in combating IUU fishing, and they have a mighty opponent in front of them. Wilder Alejandro Sanchez is an analyst who focuses on geopolitical, military, and cybersecurity issues. He tweets at @W_Alex_Sanchez.